Recently we got a requirement to switch the Business process on Case form based on ‘Case Origin’. Its easily achievable using Jscript “setActiveProcess” method. ‘processId‘ is the GUID of the ‘Business Process Flow’. You can copy the GUID from URL. ‘callbackFunction’ is your custom JScript function name which gets triggered post ‘Business Process’ switch. Below are the scenario and steps. I have 3 Active Business Process Flows on my ‘Case’ entity. 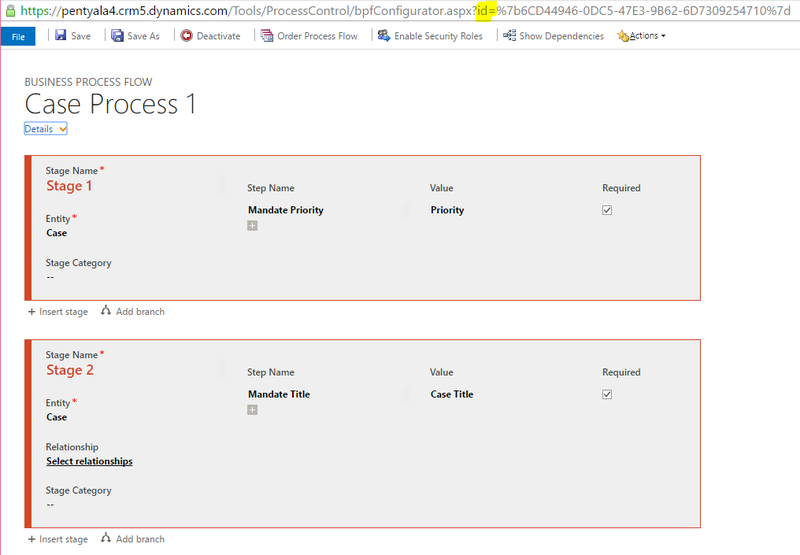 ‘Business Process Flows’ are Security Role Based, so if my user has access to all 3 ‘Business Process Flows’, he can switch the process using ‘Switch Process’option. In my scenario, ’Switch Process’ should happen based on ‘Case Origin’ field. How do I use the script? Copy the script and create a new ‘Web resource’ in CRM and add to ‘Case’ form. 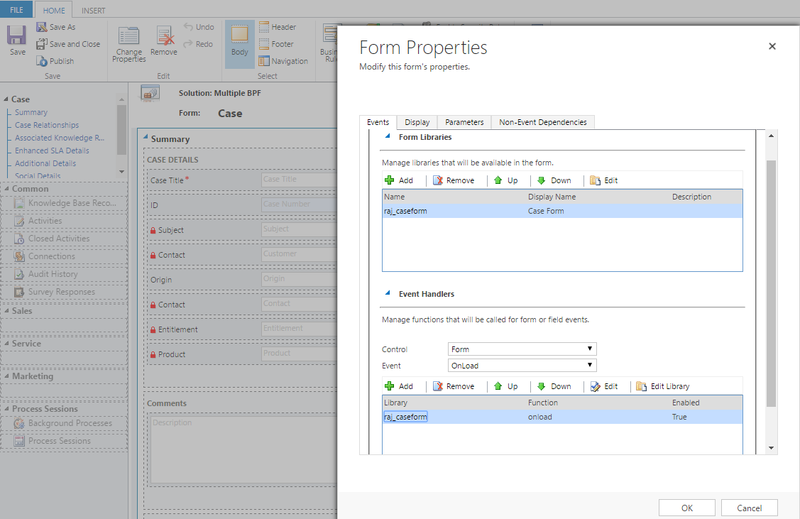 Register ‘onload()’ function on form onload event. Open the Case record and based on ‘Case origin’ system auto switches to the Business process Flow. You can have up to 10 active business process flows per entity. You can associate business process flows with security roles so that only people with those security roles can see or use them. In case of multiple Active ‘Business process flows’, the first activated business process flow in that list is the one that will be applied by default. Each record can have only one business process flow at a time. If someone’s security roles do not allow them to use a specific business process flow, the current business process flow will be visible, but disabled.